A number of people have asked if any video footage was available of Anne Scargill and Betty Cook of Women Against Pit Closures singing their anthem from the Miners Strike era – “The Women’s Song”. The song was written by Mal Finch. Our thanks to Frameworks Films for the video. By popular demand here it is – performed during their session at the Firkin Crane on July 31st. 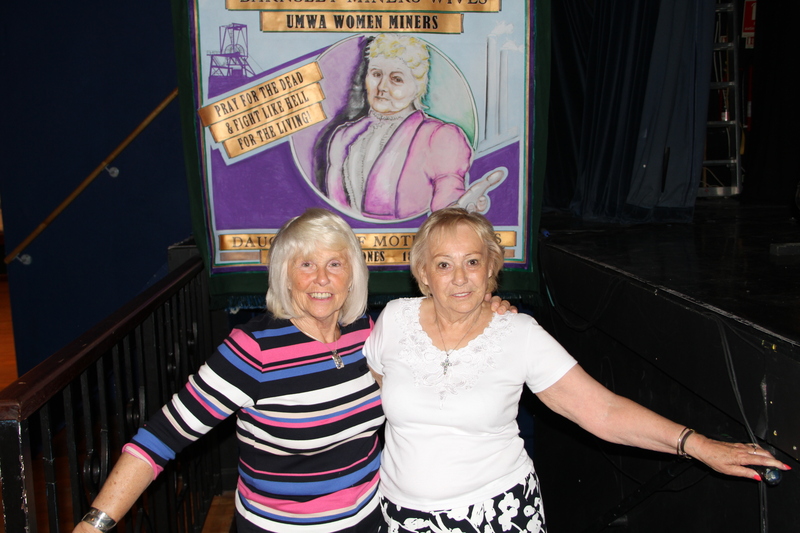 Anne Scargill and Betty Cook, Women Against Pit Closures at the Firkin Crane with Yorkshire Mother Jones banner.